As we are currently in the midst of a new psychedelic renaissance, an examination of the tenets and phenomena associated with these substances seems like a necessary next step in the entheogenic evolution. Many of history's greatest philosophers have at some point discussed psychedelic or psuedo-psychedelic ideology in their prose (Plato's Theory of Forms for example) when probing the nature or tangibility of the human spirit, so it only makes sense that this discussion would be continued and legitimized for the current generation. Since Peter has discussed what this field could look like in our first interview, I wanted to ask him a few off-kilter questions about "bad trips" and his love for photography. Prox: Many people who have used psychedelics (or other substances) have discussed the elimination of some “negative” character traits after this event or an increase in “positive” ones. What have been (if at all) some of the most noticeable changes to your schema after your experiences? Peter: I cannot through self-reflection notice that my character, as personality, has changed after psychedelic intake. I’m prone to agree with Schopenhauer that one’s character cannot fundamentally be changed, and I’m prone to agree with Nietzsche that attributing ‘good’ or ‘evil’ characteristics is relative, based upon the implicit Christian legacy that I see but reject. However, I do believe that psychedelic intake has changed my intellectual foci, if one can differentiate those from character traits. Quite simply, it hugely bolstered all of the intellectual and aesthetic interests that I already had. If this were a universal effect of psychedelics a case could be made to improve education by propagating this nootropic ‘medication’. Perhaps such intake also bestowed upon me a new interest in the beauty and value of nature. But mostly the drugs intensified my interest in the philosophy of mind and metaphysics because: the experience itself appeared as a metaphysical flight of the mind, these two subjects are plausibly the most comprehensive means by which to cognize the experience, and lastly because I realized that the experience can actually aid the development of the subjects. 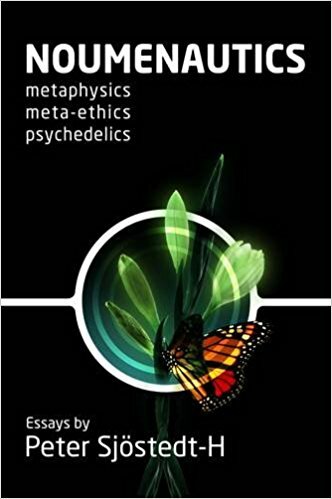 So I see the relation between psychedelics and the philosophy of mind and metaphysics as a reciprocal one – a symbiotic relation that has been little exploited. The logician Kurt Gödel claimed that metaphysics had regressed since Leibniz’s era (the seventeenth century), and Gödel claimed too that he wished that he had had an epiphany – as he claimed Plato, Descartes and Husserl had had – that would offer him further insight. Perhaps an epiphany from psychedelics will be the way for metaphysics to progress now in the twenty-first century. As a small example of this possibility: like Leibniz, I take panpsychism – the view that all of matter contains elements of mind – seriously. There are many reasons why such a view is uncommon today, but a minor one that Charles Hartshorne suggested was that panpsychism puts too much of a strain on people’s imagination: it is not easy to imagine what it is like to be a bacterium. But to think that all sentience must always be the conventional type as had by most human beings is an error Hartshorne calls the prosaic fallacy: mistaking failure of imagination for impossibility. Now, William James famously wrote that nitrous oxide made him realize that there was so much more to sentience than what he had hitherto known. Thus, as a small step towards aligning ourselves to sympathy with a more modern Leibnizian metaphysics, psychedelics may prove to act at the least as a catalyst. Prox: Could you describe and/or discuss the nature of the “bad trip” from personal experience? Peter: One could distinguish at the very least within the concept ‘bad trip’ the ‘unpleasant trip’, ‘the painful trip’, and the ‘demonic trip’. Of course, often these are one and the same – but they need not be. An unpleasant trip might simply be one towed by anxiety. A painful one might emphasize and push past traumas. A demonic trip might entail gothic visions of Miltonian magnitude, bright skulls flashing and screaming in hellish lakes of black blood, and suchlike. In all of these cases, a ‘bad trip’ might actually lead to a ‘good thing’: the overcoming of anxiety, trauma, or the inspiration for works of art, à la Beksiński. Alternatively, they might themselves traumatize a person in the long-term, though I believe this to be rare. Personally, I have experienced a little anxiety – which I overcame by giving in – and I have certainly had ‘demonic trips’ of sublime depth and power. Yet I would not call these demonic trips unpleasant nor painful. To me they are wondrous, and reveal the extreme brilliance of the mind’s aesthetic abilities. And for most people, that brilliance can only be attained through psychedelics. Naturally the majority who see such wonders cannot thereafter depict them, this being an artistic ability rarer still than the seeing. Thus the demonic trip is not of necessity an unpleasant or painful trip at all. Thus, I have never regretted a journey (though certain salvia drives have passed far too fast for me to enjoy the landscape). Prox: I noticed that you’re quite the shutterbug on Instagram. Have you ever considered seriously investing in photography? What can photographic snapshots teach us about philosophy? Peter: I have a few times forayed into photography – I even created a darkroom in which to process prints as a teenager. I come from a family line of painter artists (as well as soldiers, teachers and engineers), and so photography as an art form has always interested me. In fact, I have a number of my photographs of the tin mines of my oceanic locality in Cornwall, UK, published in my article for a British tabloid newspaper – but keep that to yourself. I have not recently invested in photography though, especially now that I find mobile phone cameras to be for many purposes satisfactory. But what, you ask, can photographic snapshots teach us about philosophy? For starters, one notes that one can intuit whether a photograph, like a painting, has a good composition and harmony of colour. Thus it leads to the examination of what that intuition is, and of what it is – What is beauty? This of course is another footnote to Plato. I have always been an admirer of Kant’s aesthetic theory, and with him I believe there is such a thing as objective taste – though fluctuations of fashion and repeated viewing do have an effect upon the aesthetic judgement. So photography can lead to the aesthetic theory in philosophy. Incidentally, on certain psychedelic journeys I recall seeing flowing imagery which, at certain instants, bursts into perfectly beautiful forms: a spacecraft, a machine, a flower, a crystal star. These psychedelic snapshots betray more explicitly the objectivity of beauty – or do they not? : a philosophic discourse. Nietzsche congratulated Plato on creating dialogue as a new art form, and I would suggest that more generally philosophy should be handled as an art form that delivers knowledge. Philosophy as informative art form rather than as information point is still in infancy, however. Prox: I see on your website that you publish lists of everything you read. Which ten texts did you most enjoy in 2017? A spellbinding presentation of Frege’s Platonism: his ‘third realm’ beyond that of matter and mind. Includes a sublime relation of (Einstein’s) relativity to dream theory. ‘Panqualityism’ first used here (a type of panpsychism). A defence of the value of the collection of Nietzsche’s later notes. An excellent philosophic analysis of ‘matter’ herein. An ancient yet amazing analysis of time (read on Kolakowski’s recommendation in his book on Bergson). Kim, J. (1995) Mental Causation: What? Me Worry? One of many excellent analyses of mental causation in relation to physicalism from American-Korean philosopher of mind Jaegwon Kim. A pioneer amongst the mind-matter cognoscenti – this superb essay substantiates the status. Popper pushes the point that rejecting mental causation is actually an anti-evolutionary stance. Prox: What’s next for you? Any upcoming projects or releases you’d like to talk to us about? Peter: A film about me called The Noumenaut is set for release this year. I believe it is planned to first be shown at film festivals. This month, January, should see the publication of my popular essay (i.e. an essay not just for academics) on panpsychism on High Existence magazine. There will be an accompanying audiobook (or, ‘audioessay’) of it later. I have forthcoming podcast interviews to be aired on Voiceclub, Psychedelic Milk (once more), Third Eye Drops, Occulture, and more in the pipeline. I have been asked to give a talk at the prestigious Philosophy Association of Lund (est. 1922) in Sweden. In June it is planned that I talk at the Beyond Psychedelics conference, in Prague, Czech Republic. I have almost completed copy-editing a book on stem cell research ethics for Routledge. More Psychedelic Press journals are on the way, a journal of which I am part. And of course, most pressingly, I aim to complete the bulk of my PhD thesis this year.